As Catalonia vies for independence, we decode the situation of F.C. 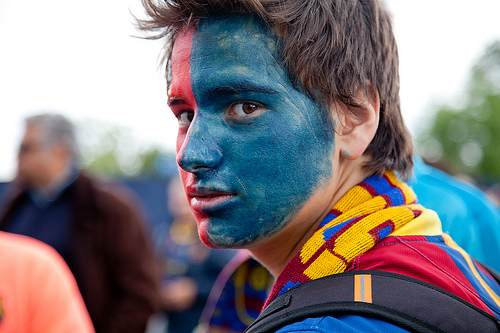 Barcelona, Catalan referendum and what it means to be more than just a football team. Humans… In the grand scheme of things, we have been on this Earth for barely five minutes of all known existence for this little blue orb we call home. In these five minutes, we have declared ourselves the most superior species on Earth, conquered all land available and explored what we believe to be the deepest depths of this planet’s oceans. In these five minutes, mankind has had two World Wars, and today the threat of nuclear winter in permanence hangs over us like the Scepter of Death itself. As we hold onto the last strings of humanity – what makes us so powerful is also what inevitably divides us – our identity. On Earth, we are all born equal. Equal opportunity presents itself to us but as life wears on we are segregated into regimes and into tribes without our consent. And these labels are our identity – scars and souvenirs we carry along on the journey that we call life. We pledge allegiance to a God we cannot see, to a language we did not create and sometimes to a football club whose ideas we cannot fully comprehend. Mankind creates these regimes so a select few can rule over the rest of us. And from resisting or going along with these regimes are identities formed. In this respect, Barcelona can thank and curse a man who scarred them more than any other. Born of a conservative family in 1892, Francisco Franco Bahamonde believed in the concept of Spain as a monarchy. A single, large fiefdom under a central rule that became a machine for progress. In 1936, General Franco became the military dictator of Spain. Till his death in 1975, unspeakable controversies and cruelty swept across Spain and suppressed the identity and the freedom of Spain’s Catalan and Basque regions. With their own unique language and nearly self-sustaining trade corridors, Catalonia and the Basque country were well on their way to prosperity. Under the rule of Franco, they were set back incalculable years. 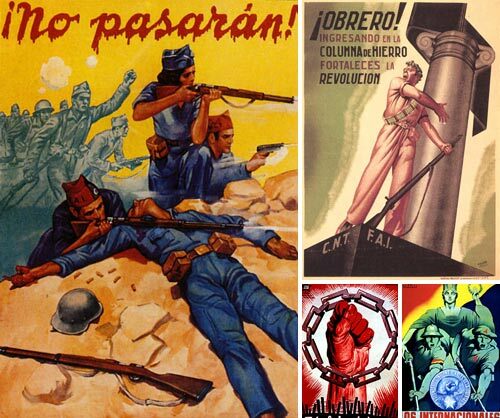 Murdering and jailing 400,000 dissidents, Franco set about creating an identity as the Devil Incarnate in Spain. A country that was united was divided like never before, all because one man pushed his idea of a perfect Spain on those who did not want it. Sometimes where we go shapes our identity. A trained mercenary is still a father when he comes home to his family, a sweeper still queen when she comes home to her babies. And during such torrid times, a football club can become a symbol of hope, of freedom when all else seems dire. Such is the identity associated with FC Barcelona. And in these glorious early years, the 1930s, FC Barcelona emerged as ‘Mes Que Un Club’. For since its establishment in 1899, the Catalan giant had always commanded respect on and off the field. An institution of the people and for the people, Barca identified with everything that Catalunya itself stood for – freedom of thought and expression, beautiful football on the pitch. Under the clout of Franco’s iron fist, the Camp Nou has been repeatedly mentioned as one of the places where Catalans could speak their mother tongue without fear of prosecution. In those forty years, FC Barcelona moved closer to Catalonia and its people than ever before – with organized protests and grand displays of affection towards a Catalan identity. No one man set ablaze the flames of Catalan independence and separatism than General Francisco Franco. Fast forward nearly a hundred years – it is 2017. FC Barcelona are at the pinnacle of a new-fangled form of football. One that means every former institution is now a billion-dollar business venture. Season tickets and shirt sales tug at the heart of Catalans and those who identify with what the club means to them from all across the globe. As football evolved, so too did one of the pillars of what made the game great in the first place. On October 1st, as Catalans voted for their right to have independence, in the form of a referendum. The Spanish Prime Minister deemed it unconstitutional. What followed was one of the most gruesome modern examples of a regime entrusted to protect its people exercising no restraint as over 800 people were injured and referendum voting booths were destroyed. In the past, the Camp Nou would have remained open to all, a safe haven where the language could be spoken, and protest could be peacefully held. Faced with a conundrum of upholding their identity and supporting the referendum, or market realities, FC Barcelona chose the latter. After all, the show must go on. In 2017, the FC Barcelona board have not the gall to step against the La Liga and Real Madrid fan Javier Tebas on the subject of the referendum. Under the threat of being docked six points and sanctioned, a controversial match against Las Palmas went ahead behind closed doors. In 2017, FC Barcelona is now about being more than just a club. But not quite the way Joan Gamper envisioned it. It is now a modern super-business that hinges on positive results just as much as it leverages on the identity and heritage it so proudly boasts. And with Josep Maria Bartomeu the first un-elected president in charge of FC Barcelona, the match went ahead as scheduled. FC Barcelona may have run out 3-0 winners but in the minds of many had lost the perfect opportunity to show they are more than a club. In the backdrop of this entire fiasco, Spain’s Prime Minister Mariano Rajoy has declared central rule on Catalonia. “Neither side is willing to budge an inch, which means a limited chance of any positive outcome” says Argelia Queralt, a professor of constitutional law at the University of Barcelona. And Spain seems desperate to have a stranglehold on Barcelona. The Catalan referendum divides Spain, just as FC Barcelona’s flowing attacking play unites the world. Here’s why: Catalonia provides Spain with 20% of its overall GDP and is one of the wealthiest regions of Spain. Lower unemployment, higher life and job satisfaction, lower crime rates – Catalonia has it all. And at the center of it – shining like a beacon of righteousness for over 100 years remained the city of Barcelona. What it means to the Catalan, and what FC Barcelona means could seldom be put into words. As identities clash and ideologies dissolve into the basest of violence, the people suffer. Looking on from the helm of FC Barcelona, the board remain neutral at best – refusing to accept the Catalan movement or support the Spanish authorities fully. In limbo, FC Barcelona does nothing for the people who make the club, more than just a club. Perhaps it’s too crude to say that the situation is similar to racial killings in the Americas, or apartheid in South Africa. But, perhaps, that is exactly how the Catalans feel. Persecuted and held prisoner against their will and now turned upon by the very people entrusted to protect them from harm. This is an identity crisis like no other. As for Spain, understanding their outlook is essential. A region that is landlocked, a contribution to workforce and GDP that cannot be shirked and a beautiful history that forms part of the charm of the Iberian peninsula cannot just be ripped from its history books. Spain fights to keep Catalonia, because a unified Spain is best for Europe. At a time when the world questions the face behind the next terrorist attack, the last thing mainland Europe needs is a full-blown War of Secession within Spain. It would economically and politically bring the European Union to its knees as countries chose sides. In this situation, FC Barcelona are stuck between a rock and the hardest of places. As a football club, they remain in the business of entertainment. And in show business, no matter what happens – the show goes on. But, as apostles of Catalan identity – as a cornerstone of freedom to express an individual thought – Barcelona are and always will be so much more. For over 100 years, they have balanced the tightrope between worldwide success as a global brand and remaining true to their values. But as Spain and Catalonia square off, will FC Barcelona remain neutral and let its identity crumble under the expectations of a modern football club? Mes Que Un Club? Time will tell. History will be the witness. Carles Pudgiemont beat a hasty retreat to Belgium. Stemming from the blatant disregard of Spanish authority by those in power in the Catalan region, now members of its parliament are under arrest for sedition among other charges. International mediation is no longer possible in a matter as internalized and woven as intricately into the lives of each Spaniard. As Catalonia continues to agitate, fighting for their right to self-determination the situation at FC Barcelona gets ever more precarious still. And still they fight on. Supports FC Barcelona, sells lies in the form of advertising. Occasionally writes poetry, always makes people smile.